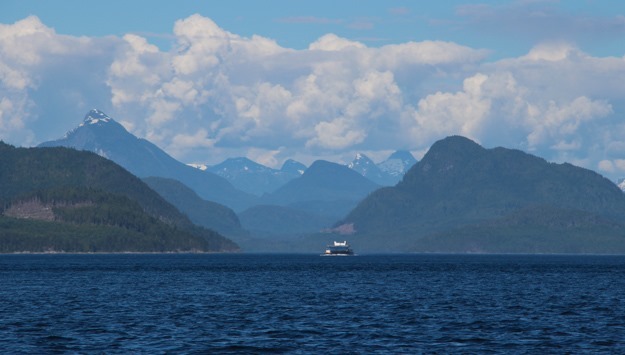 The first day we started from Farewell Harbor, on the edge of Blackfish Sound and Blackney Pass. We had planned to spend a second night there to wait out the day’s forecast of NW 20-30 – 30 or more (if the forecast was slightly off) could be not very fun conditions in Johnstone, even downwind. But we decided to go for it, and are glad we did. Conditions were tough, but manageable, and we had the flood current with us. 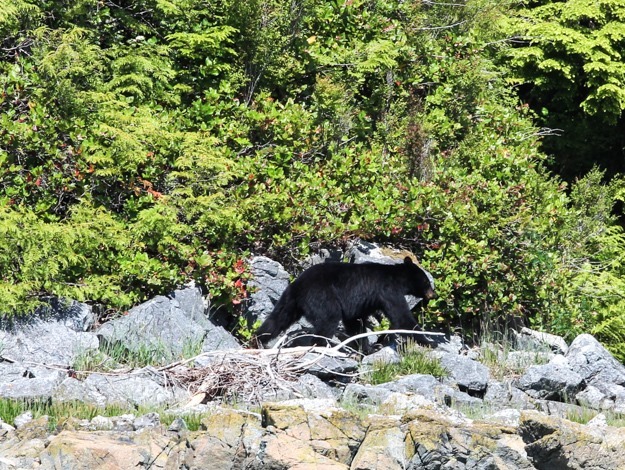 We watched a black bear leisurely walk along shore in Farewell Harbor before departing. The forecast ended up being accurate for once, and we had 20-30 knots the whole time, flying just our genoa at various levels of reefing. The worst waves actually were near the start, in Blackney Pass where strong, complex currents hadn’t yet fully switched to flood. 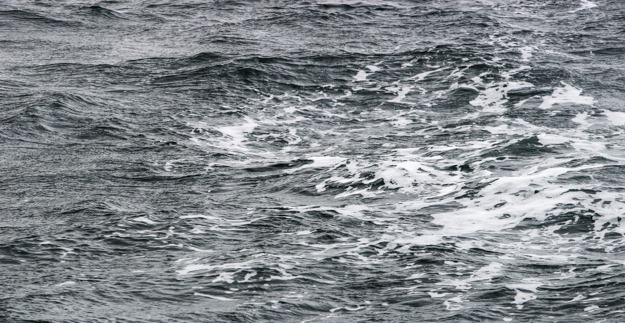 In Johnstone we sailed mostly dead downwind at 6-7 knots with about 2-3 foot waves. Running only the genoa was a good call because it allows us to point close to 180 instead of 150, keeps the sail effort forward, and is easy to reef and unreef. * note average speeds are deceptive because 5.4 means we were sailing at 6-6.5 kts for most of Johnstone but 3-4 knots for an hour or so sailing 3 nm into Port Harvey. Sail Configurations: Double reefed genoa only, single reefed genoa, full genoa. 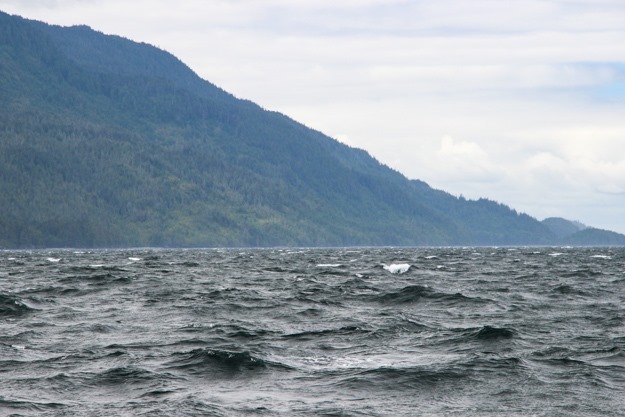 Moderate waves in NW 25-30 near Robson Bight. 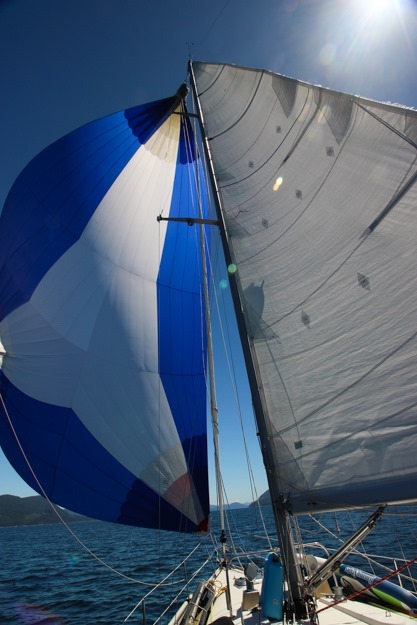 Sail Configurations: Main + spinnaker, main + spinnaker wing-on-wing, reefed main + reefed genoa, reefed main + full genoa, full main + full genoa. 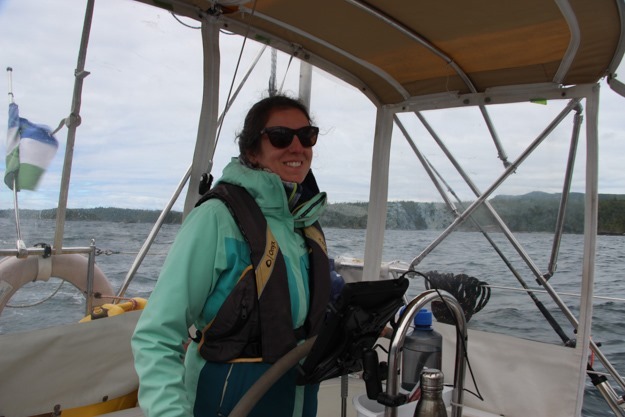 The second day was we think the best sail we’ve ever had – 7 1/2 hours downwind doing a consistent 6 knots or so in 10-20 knots of wind, in mostly flat water (except for 2-3 foot swells approaching Fanny Island). We really lucked out this year, having a 2-day downwind sail northbound, and southbound. 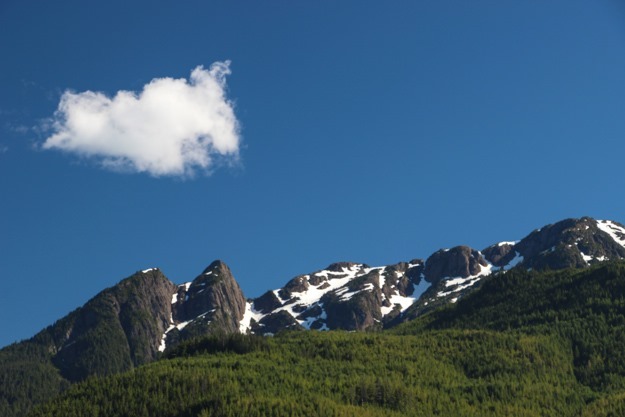 It pays to have a flexible schedule, carefully watching the forecast for the right conditions. We crossed paths with lots of boats – pretty much all going westbound / uphill. We were going the easy way, east, when most people are going west (north). It’s early to be heading south, but we don’t see it that way – we’ve been underway for 3 months, and are ready for some easier and sunnier conditions.